I am writing this note to tell you how much I need you, appreciate you and how I will never neglect you and take you for granted again. This I promise for ever more. Yesterday my amazing ultrabook laptop just stopped working. It wouldn't switch on. Now, I don't have a tv, so all of my electronic entertainment comes from my laptop, and I use it to work on daily - at home and out and about. I rely on it for so many things! Luckily the local computer shop saved it today for the bargain price of £85 (to be honest I would have paid almost anything! ), and the fault was caused by my repeated dropping of it. You see I often fall asleep with it on and it falls from the bed. Naughty ReeRee. Anyhoo.....its fixed and I'll never get lazy with it again. It's a beautiful piece of kit, and I need to not get lax with how its treated! Perhaps a life lesson for many things! 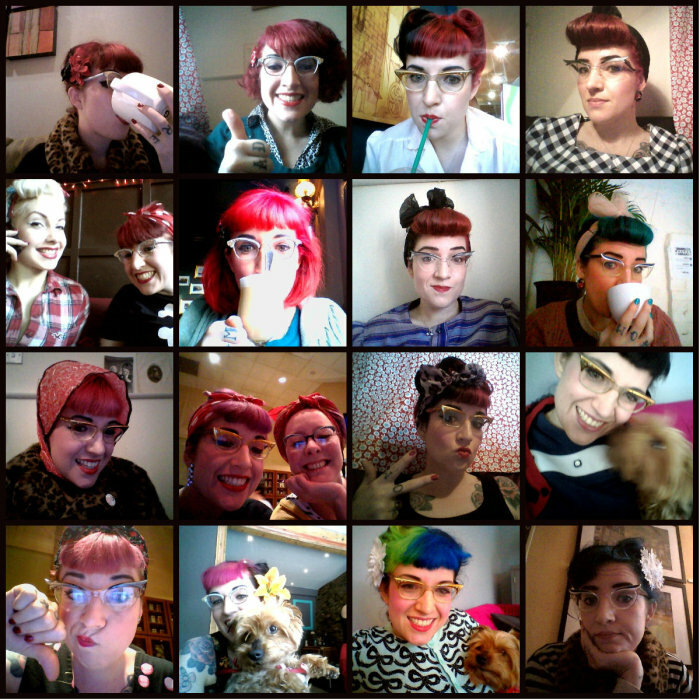 I found the folder of all the laptop camera, and its funny how its documented a part of my life - usually my face, often with coffee! Gosh, what an odd world we live in, that so many of us take so many self portraits all of the time, for not much reason!